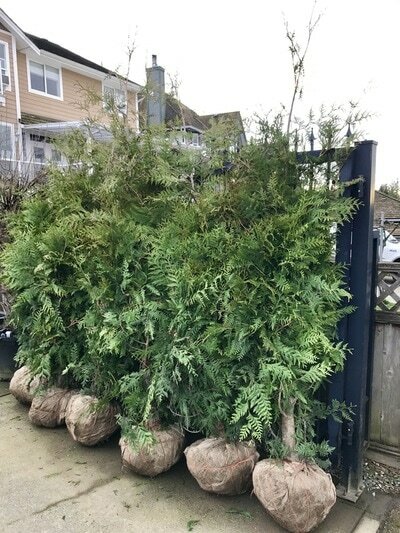 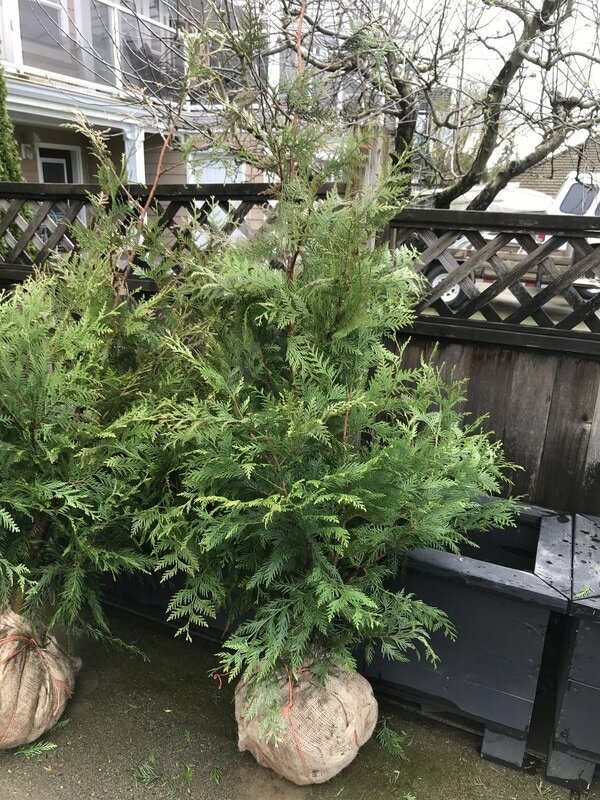 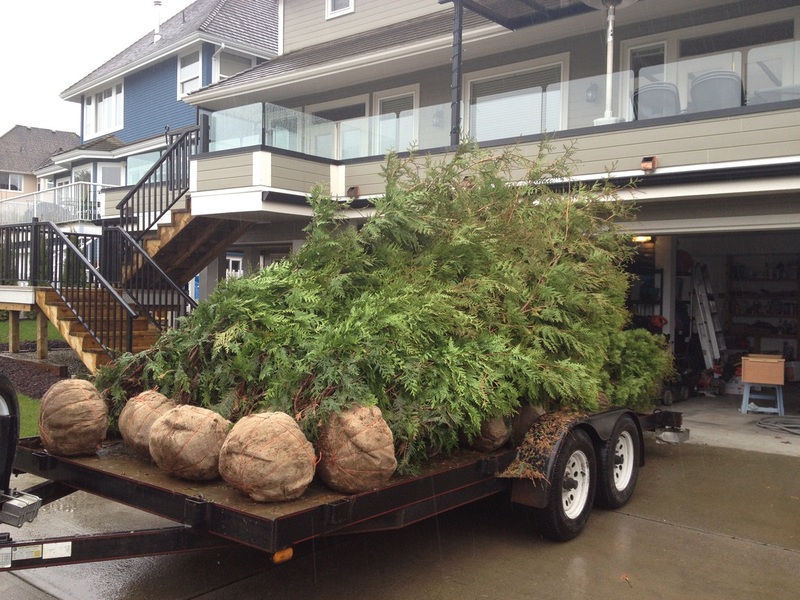 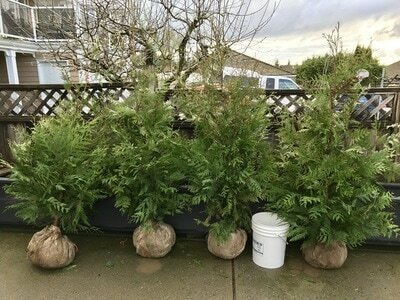 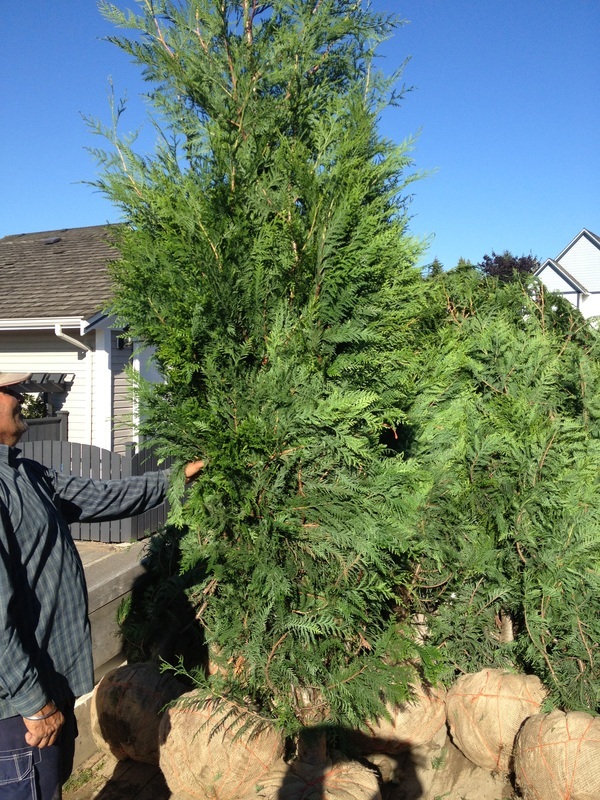 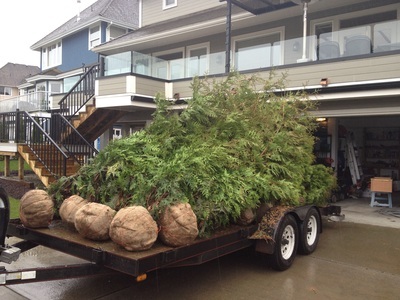 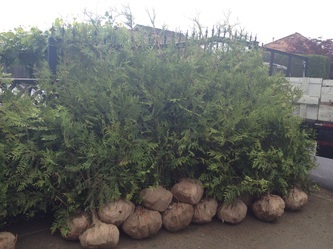 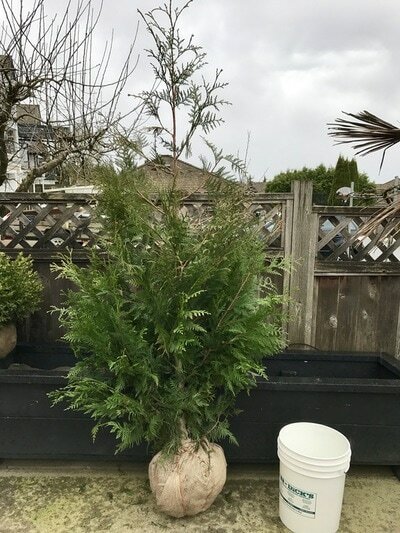 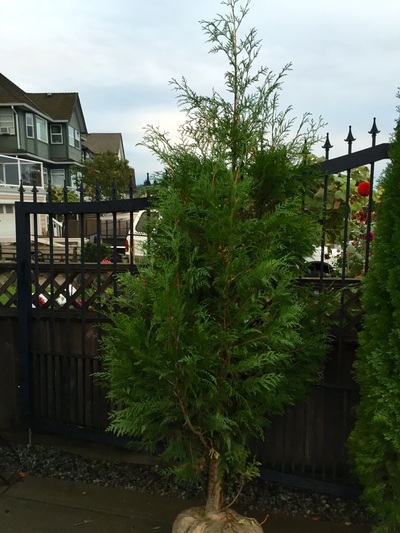 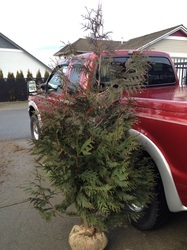 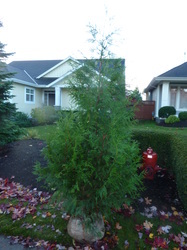 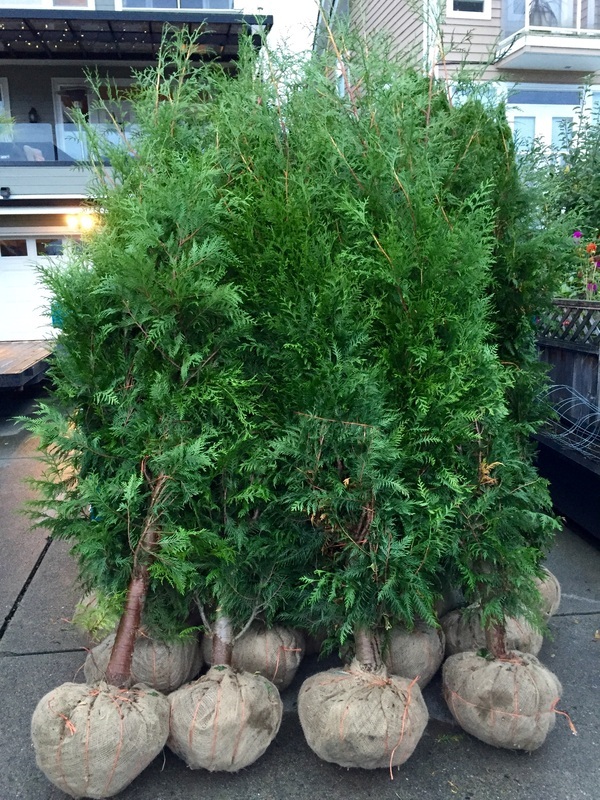 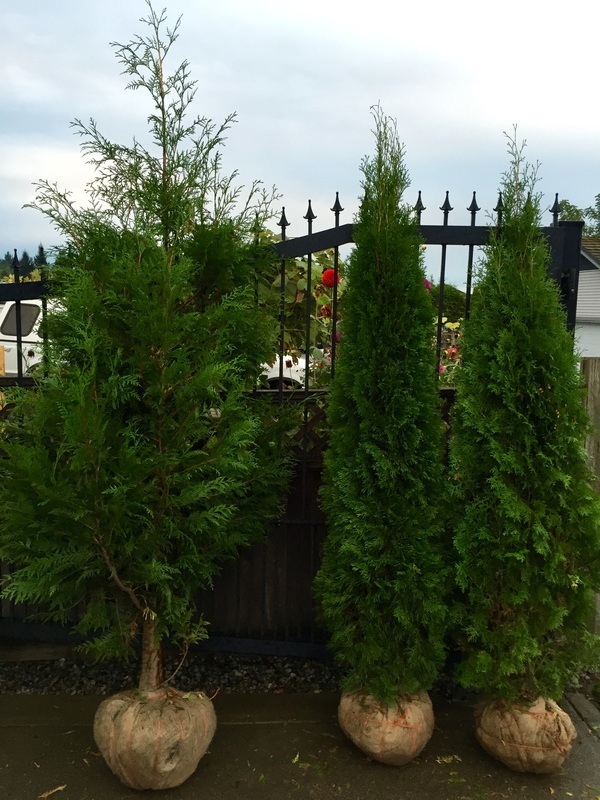 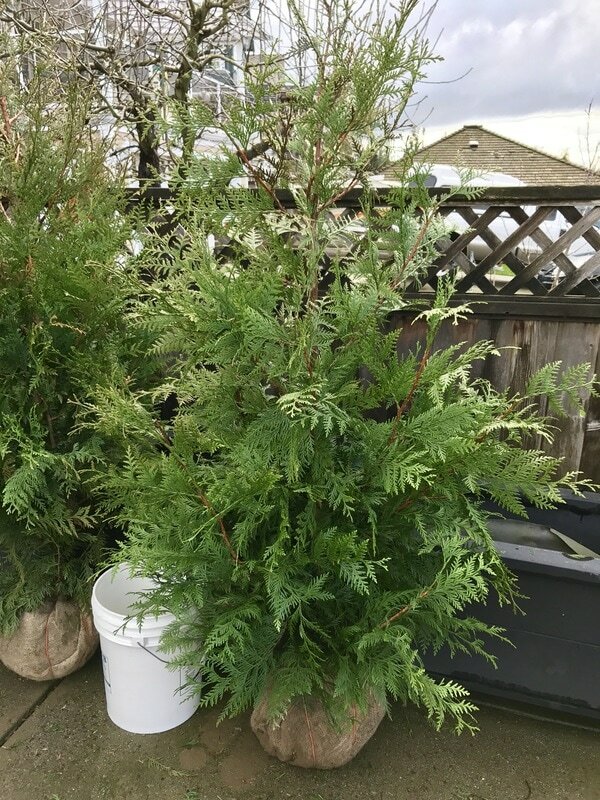 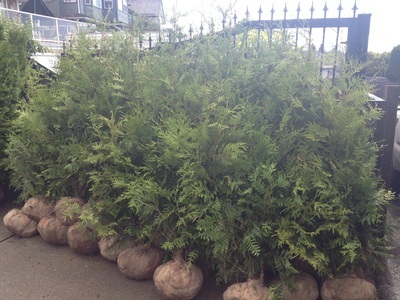 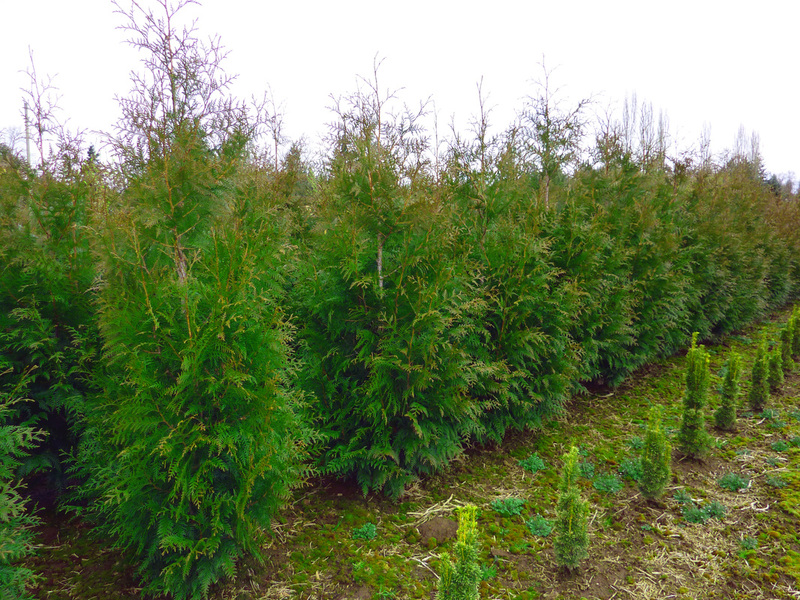 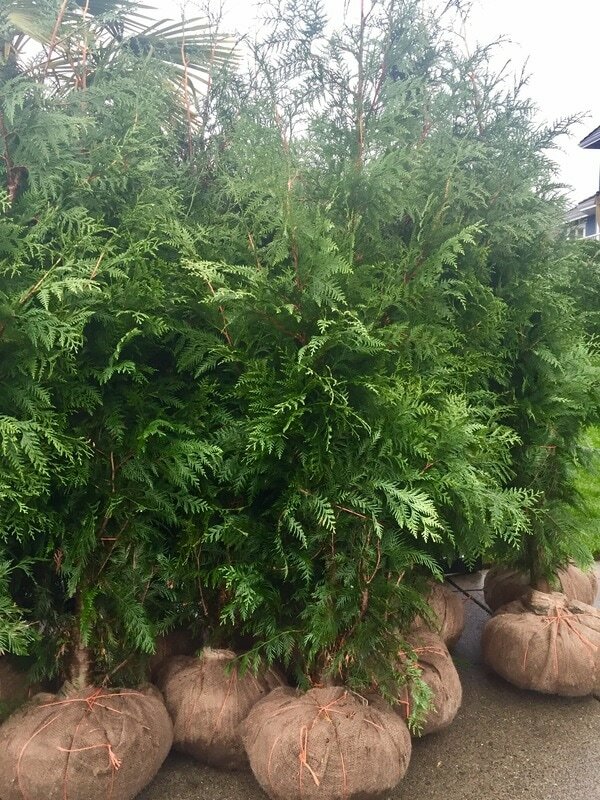 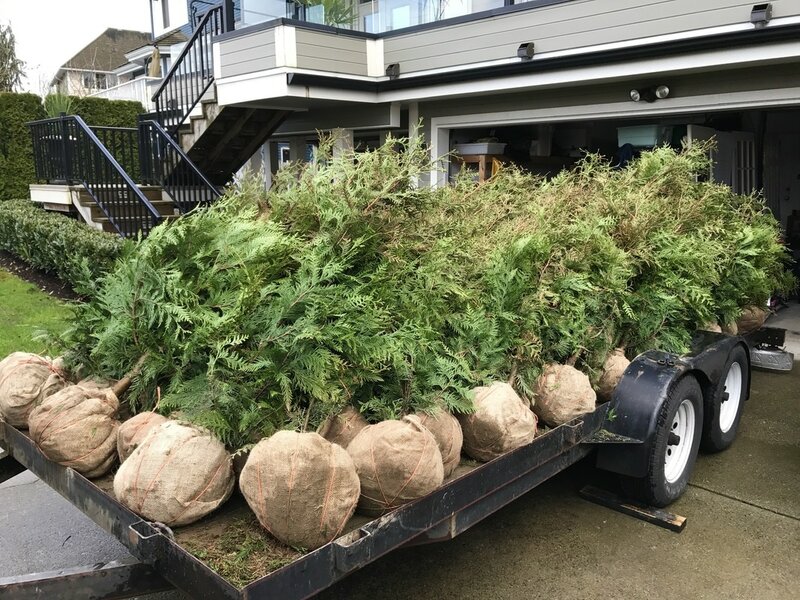 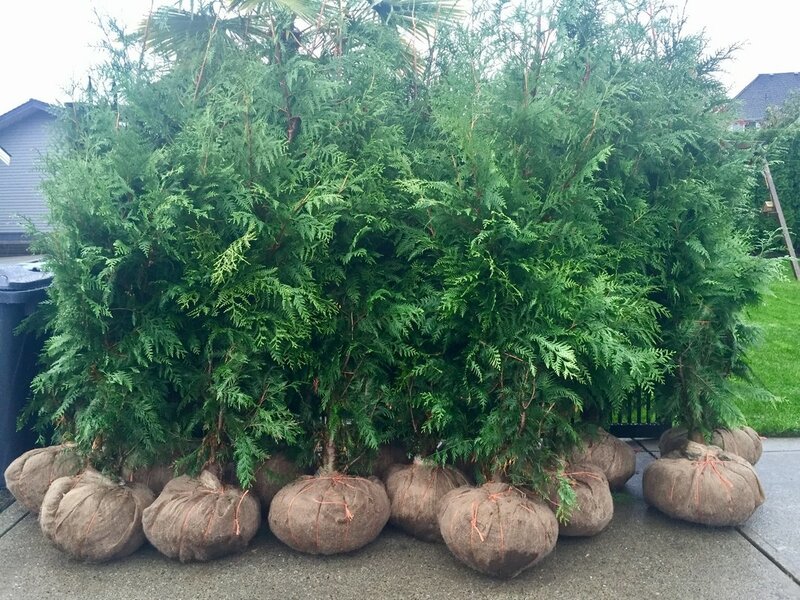 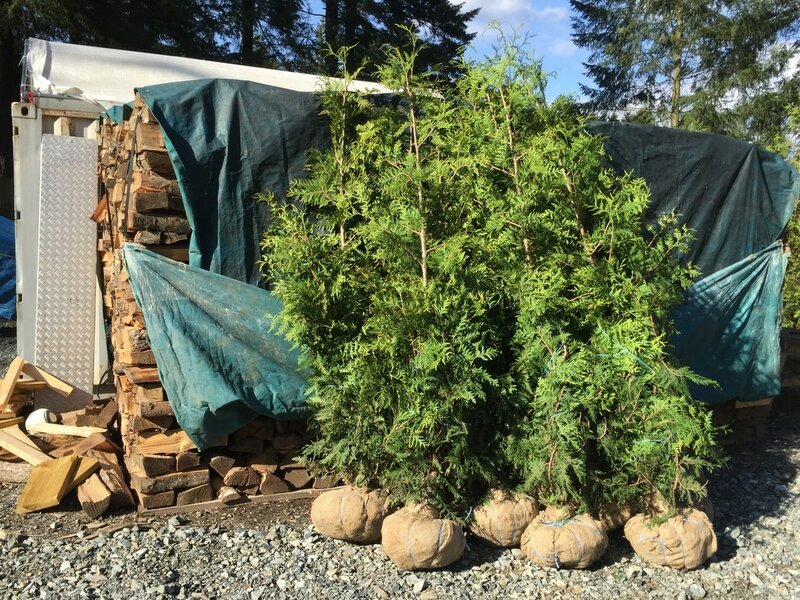 From the Western Red Cedar family, the Excelsa Cedar is a tall and wide growing cedar. 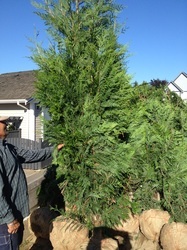 It can reach heights of over 30 feet in the long run and can grow as wide as 10-15 feet. 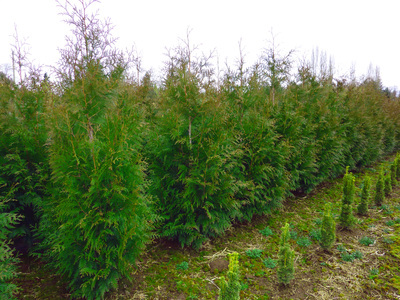 It is a moderate to fast growing tree (2-3’ per year) that maintains a steady pyramid shape. 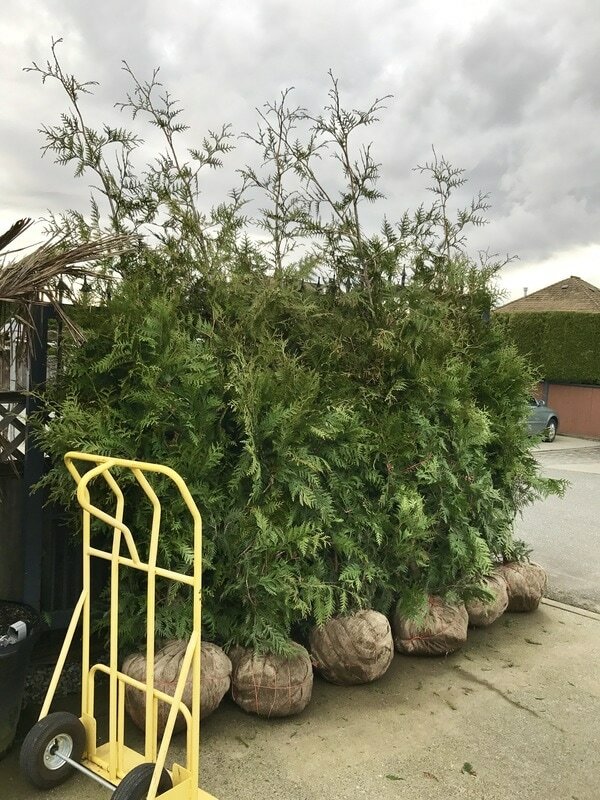 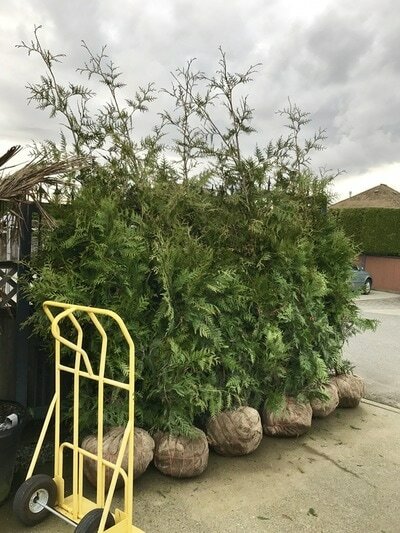 Like most hedging, the Excelsa can be trained to grow into a solid privacy-wall as you trim the tops to promote side-growth. 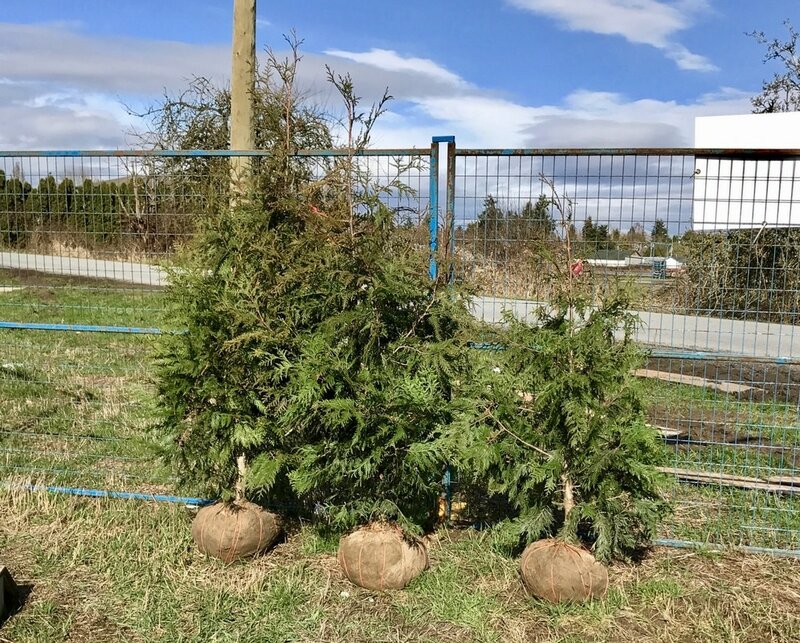 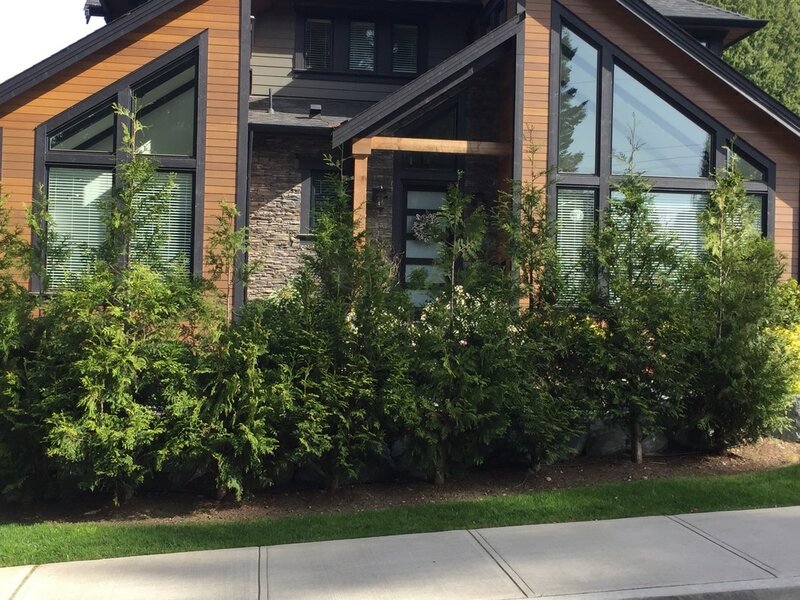 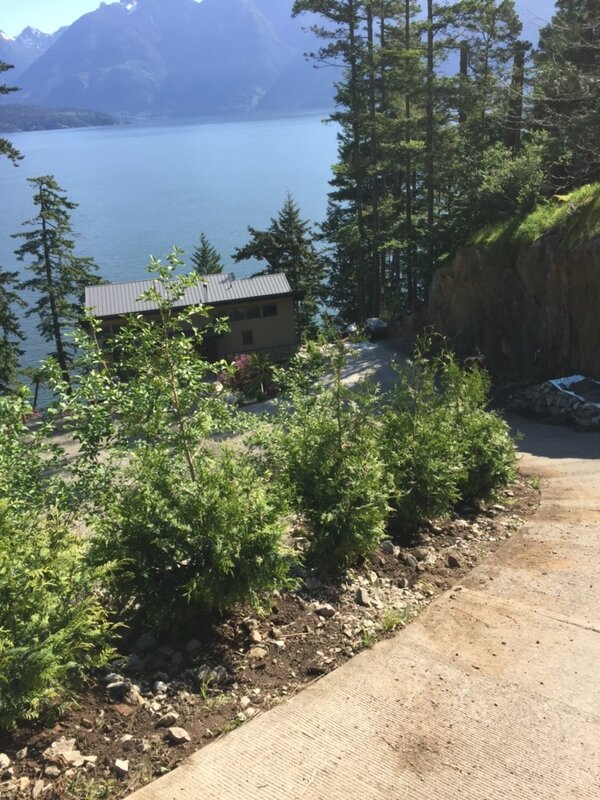 It is a great tree (‘two story’ privacy tree) alternative to smaller, slower growing white cedars if a privacy hedge is desired in less time. 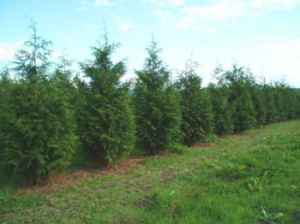 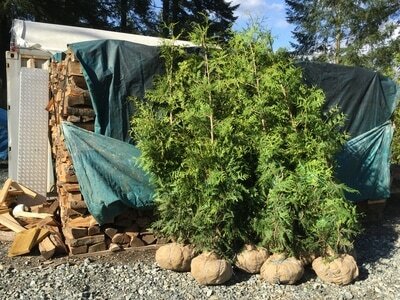 It acts as a great windbreak and is deer resistant. It is suitable in urban, rural and semi-rural environments. 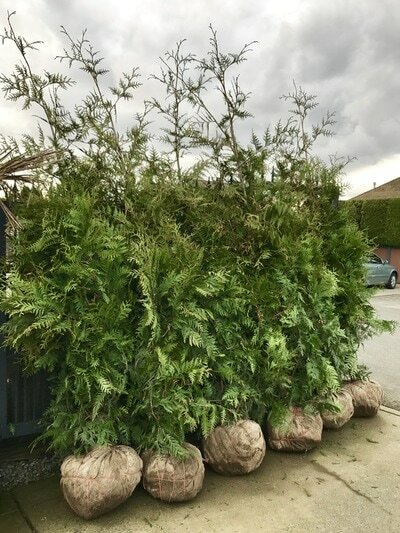 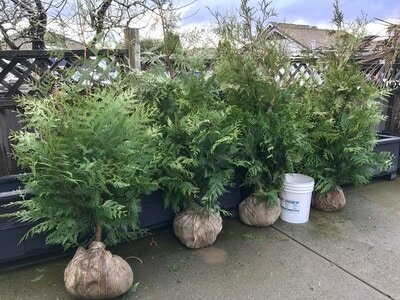 The Excelsa Cedar has a rich, dark evergreen foliage that may turn slightly golden or bronze in Winter due to the cold. 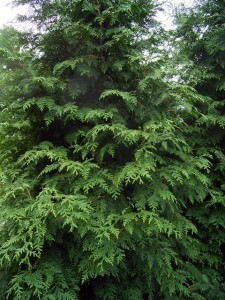 It grows well in all soil types and prefers moist climates.